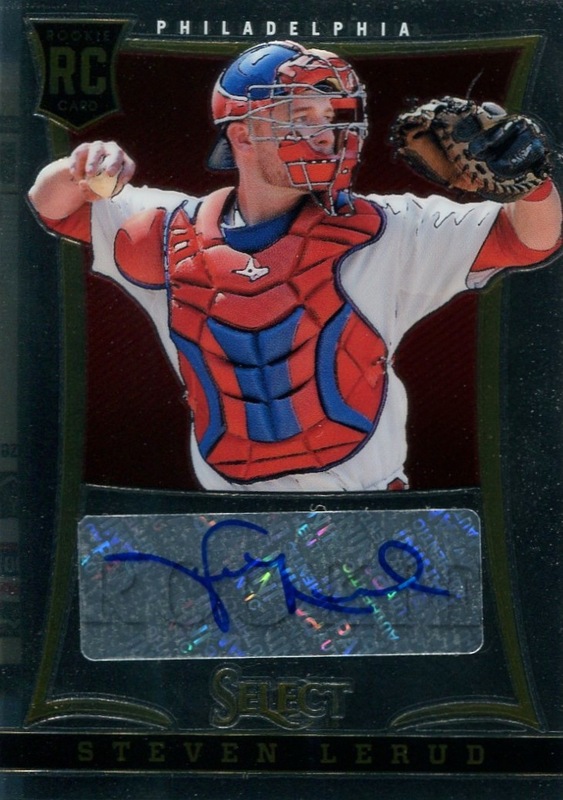 I completely understand why other c ollectors choose to stay away from the partially-licensed Panini and Leaf sets. 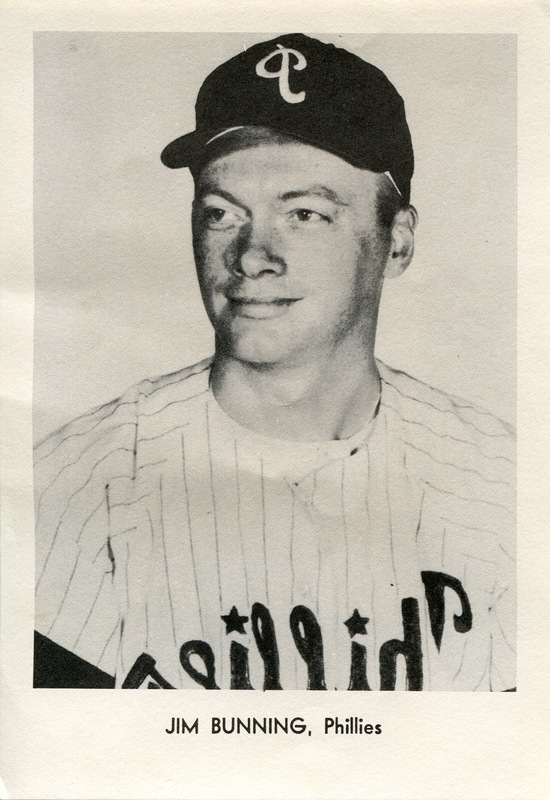 Aside from the fact that all of us prefer to see the team logos and insignia, the efforts required to digitally remove both them and easily identifiable stadium/field structures from the cards result in a rather limited array of photograph types. 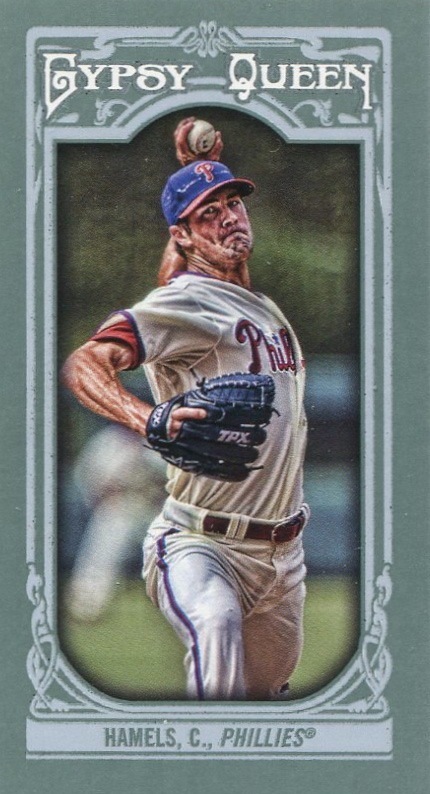 In-action cards (other than ones taken mid-swing or mid-pitch) are nearly impossible, and the frequent decision to crop out the player’s hat from the photo gives the cards a somewhat odd look in the same way that capless photos do. It’s not their fault, but these issues means that Panini and Leaf sets just don’t look like proper baseball cards. In fact, until last year, I really didn’t feel much need to add any of them to my collection. Oh, a few trickled in, but there was no concerted effort on my part to add them. That changed in 2013. 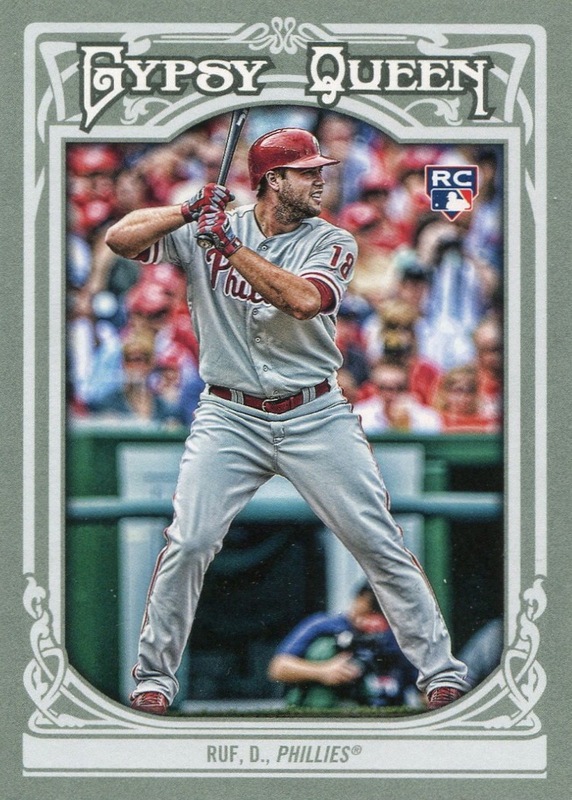 Panini, in particular, started to release sets that showed that they were serious about designing good-looking sets that stayed within the restraints imposed upon them by MLB’s refusal to license its insignia and trademarks to anyone other than Topps. 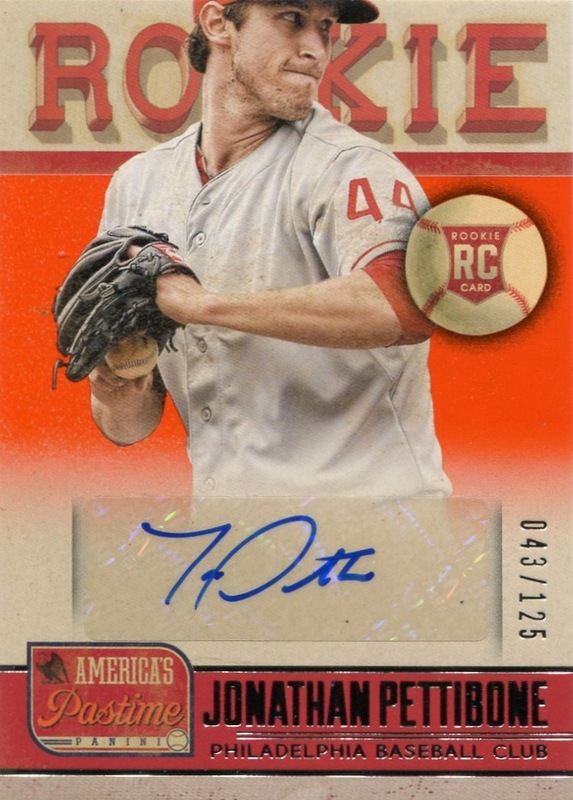 True, the cards still suffer from the flaws I previously enumerated, but they certainly look a lot better than the sets that Donruss and Leaf have issued over the past few years. 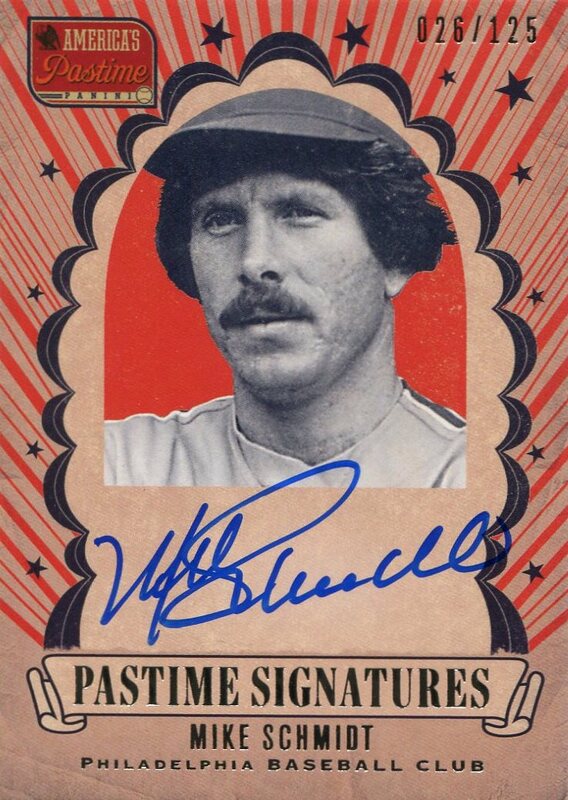 Just as importantly, though, Panini has positioned itself as a major force in the autographed card arena. 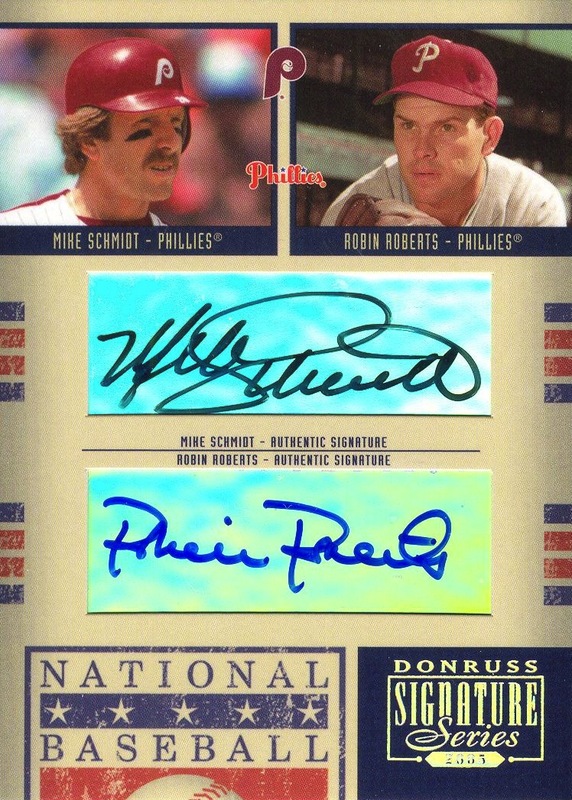 I would go so far as to say that if you’re refusing to collect Panini cards because of the lack of an MLB license, then you are missing out on some awesome Phillies autograph cards. 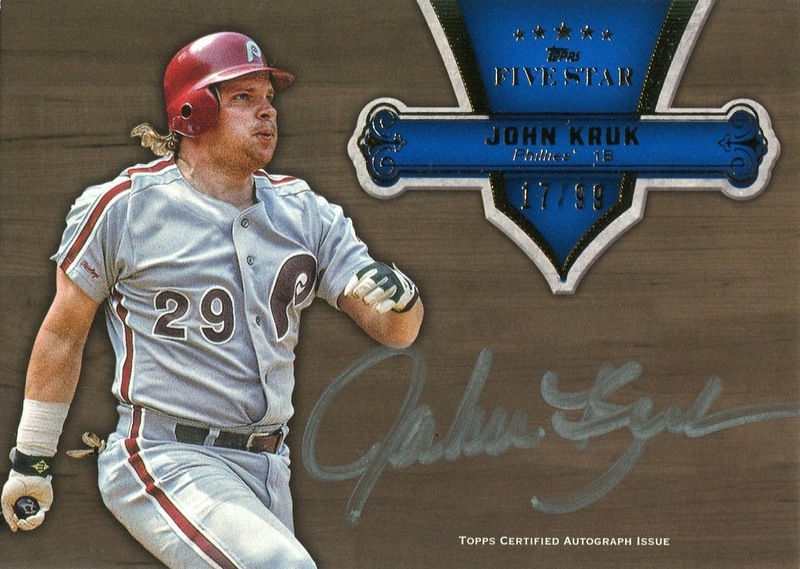 In my opinion, Panini issued two of the best Phillies autograph cards of 2013: the John Kruk & Carlos Ruiz dual-autograph card from Panini America’s Pastime and the surprise Tony Pérez card in Coooperstown Baseball. However it didn’t stop there. 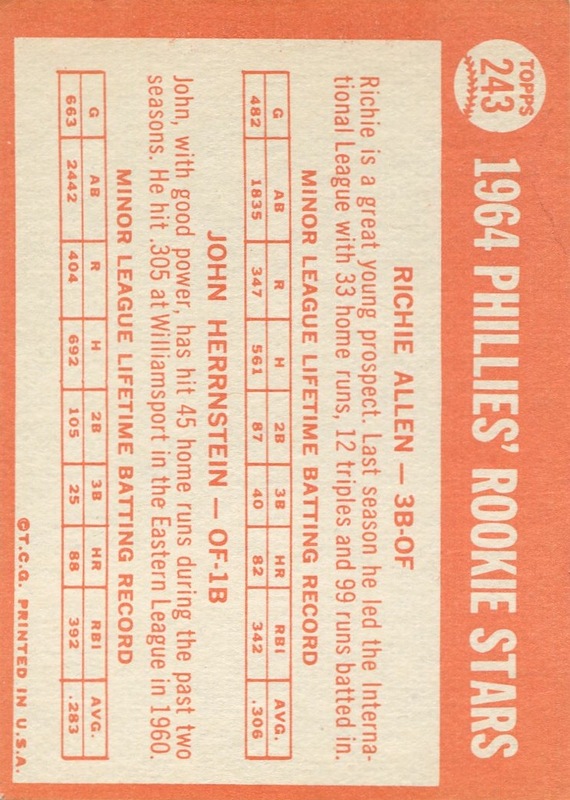 They issued the first, and almost certainly only, Steven Lerud Phillies autograph card, a large number of Larry Bowa autograph cards (remember, he had only one prior to 2013), a large number of additional John Kruk autograph cards that all used different photos — something Topps needs to work much, much harder on — and a decent array of cards that didn’t use autograph stickers. 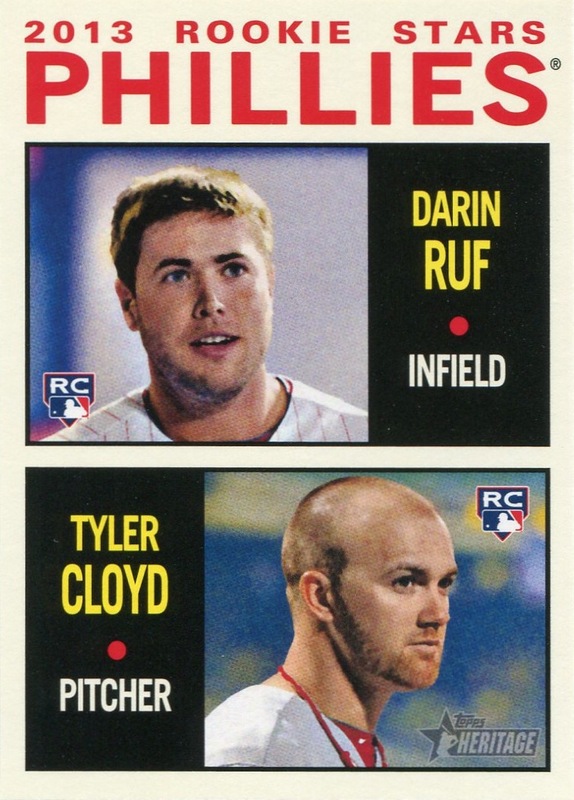 Although, to be fair to Topps, Panini did make far more liberal use of stickers, and that should be held against them. 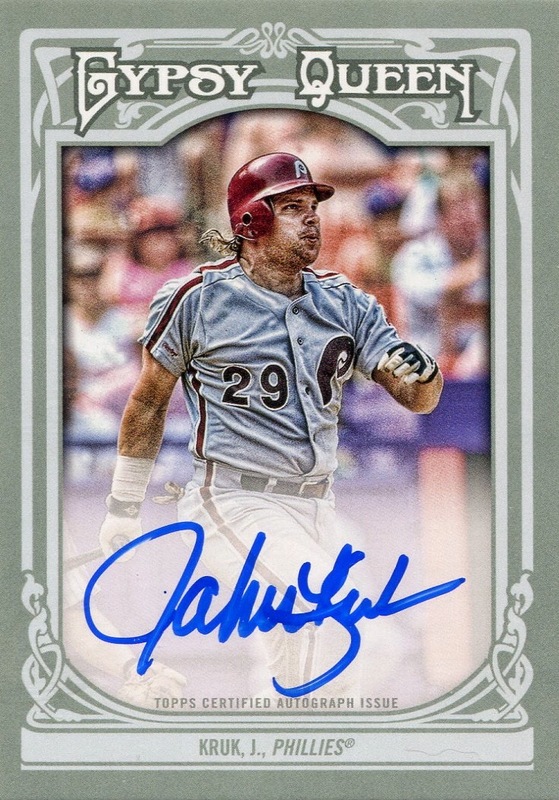 When I looked at the final counts of 2013 autograph cards I added to my collection, I was surprised to discover that I possessed only two fewer Panini cards than Topps cards. 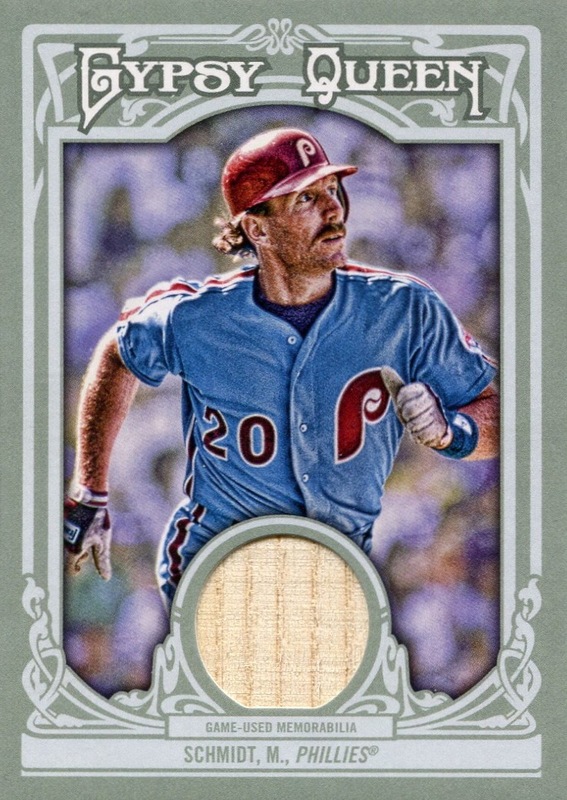 Actually, this is technically an undercount as I am awaiting delivery on two additional Panini autograph cards that will bring the two companies even. This is in spite of the fact that Panini issued roughly half the number of sets released by Topps. I’m also willing to bet that the amount I spent on the Panini autographs was significantly less than the amount I spent on the Topps autographs — though I didn’t keep any real records that would let me conclusively answer that question. 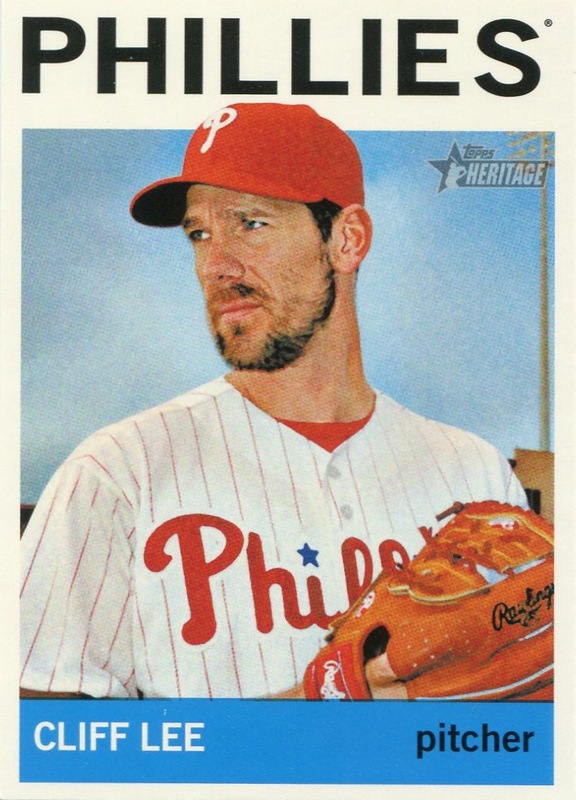 My point is that if you love collecting Phillies autograph cards, then you shouldn’t just dismiss the Panini sets just because they lack an MLB license. 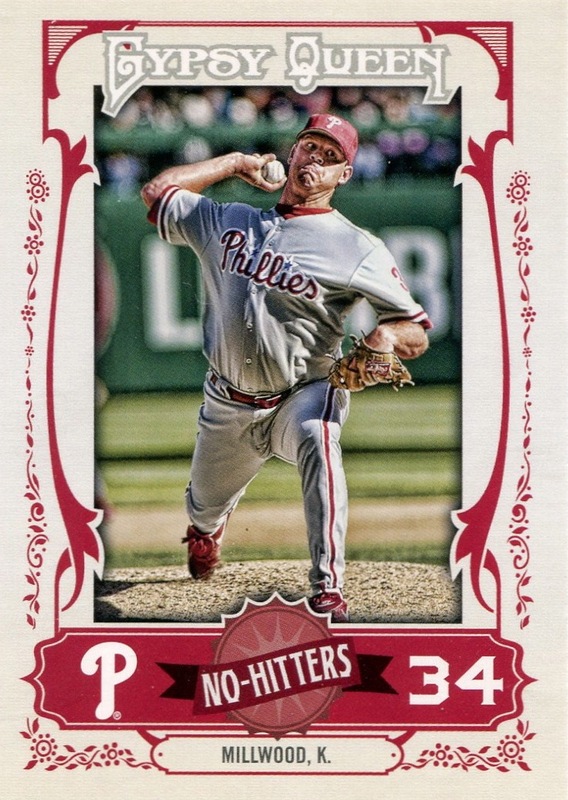 Yes, some of the sets are nowhere near as appealing as Topps issues, but in addition to some of the things I’ve already highlighted, without them I wouldn’t have the number of John Kruk, Carlos Ruiz, Larry Bowa, Cliff Lee, Pete Rose, Steve Carlton or Mike Schmidt that I currently own. Panini isn’t for everyone — and they certainly do need to engage in some better quality control — but I view their presence in the hobby as an absolute plus. As of today, I officially became the owner of this little beauty. According to Beckett, only 38 were made. 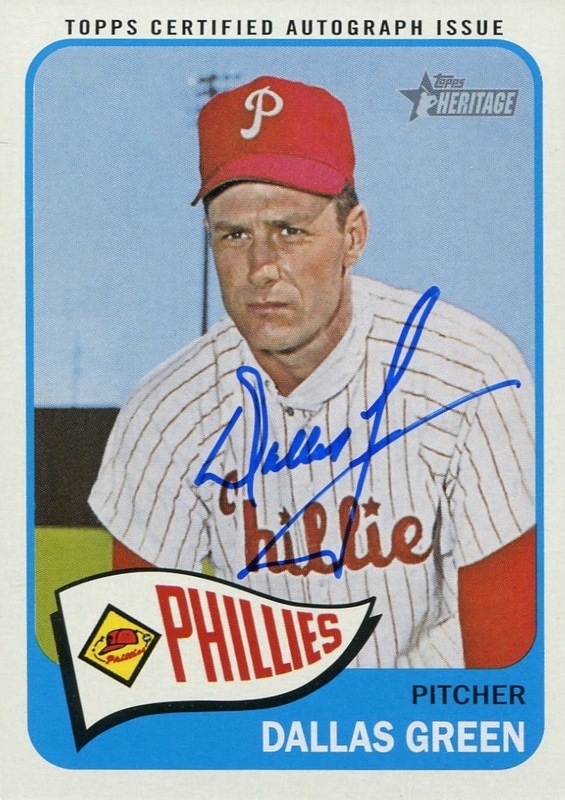 I do not believe that there’s another Phillies autograph card I would want more than this one. 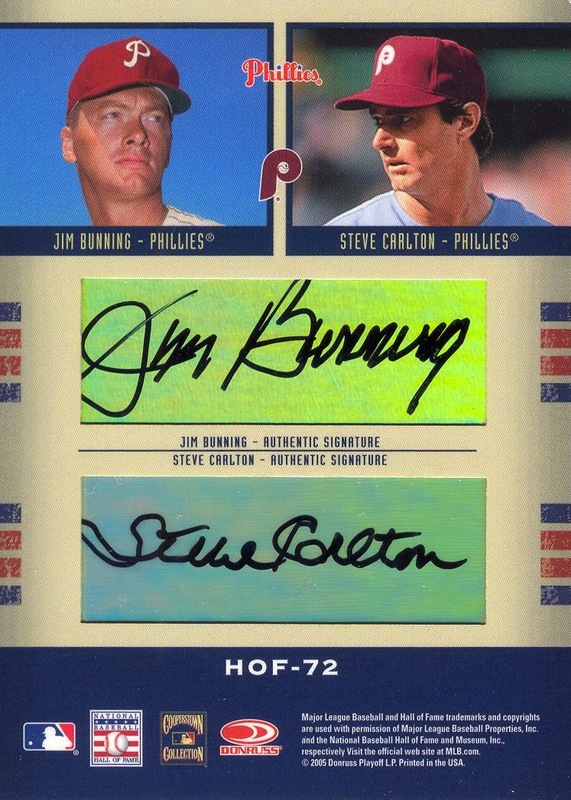 To my knowledge, there are no other cards bearing the signature of four different Phillies HOFers. I didn’t intend to take over a week to get to the second half of this post, but I succumbed to my own little bout of laziness while on vacation this week. The difference between me and Topps, however, is that I’m not charging anyone for the privilege of watching my laziness in action. 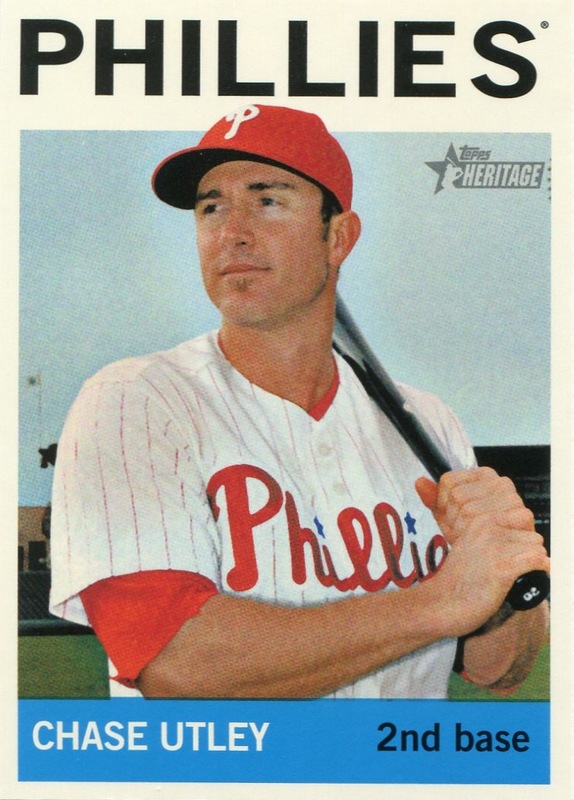 It’s been 10 years since Topps’s lackluster efforts when reprinting cards for its 2001 Archives set. In the interim, the technology and software for the scanning and digital restoration of pictures has improved greatly and become much cheaper. You’d think that would mean better results from Topps when reprinting older issues. Sadly, not as much as you would expect. 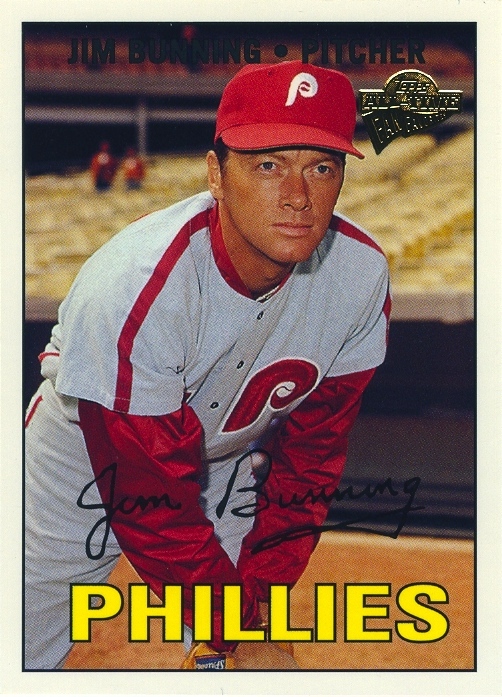 The card on the left is the original 1967 Jim Bunning card and the one on the right is the version that Topps recreated for its 2010 Cards Your Mother Threw Out insert set. 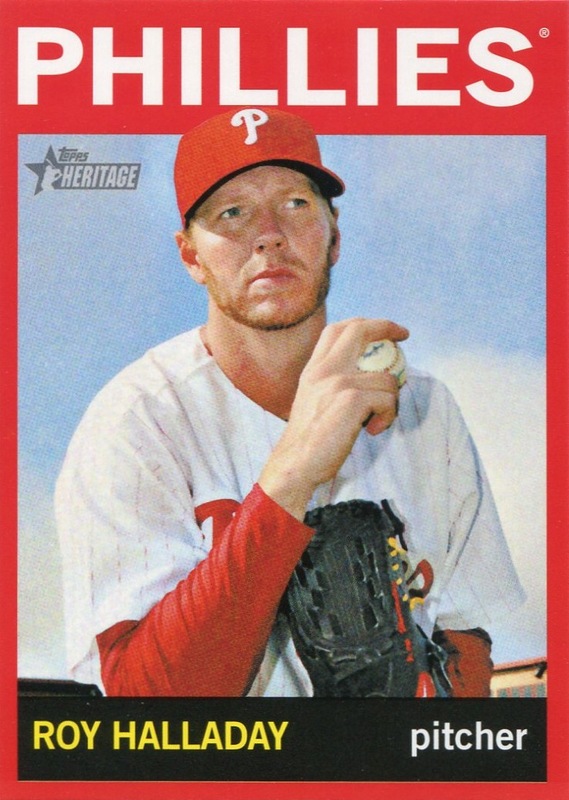 Amazingly, despite the advances in scanning and digital restoration technology in the nine years since the 2001 Archives release, Topps is still recreating the card from scratch rather than attempting a proper restoration job after scanning the original. The fonts are much closer, but still not right; the bottom legs of the “L”s are too long and the spacing on the horizontal lines in the “E” isn’t quite right. 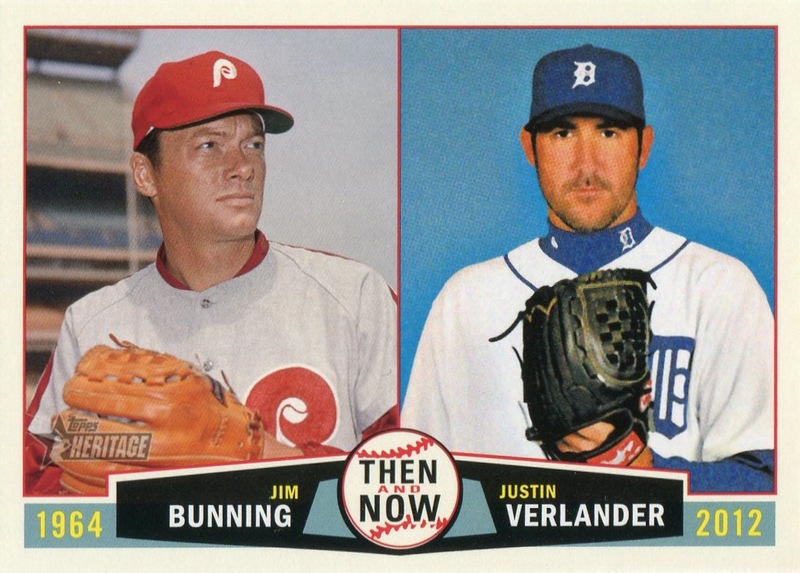 Furthermore, Topps is still recropping the photo — look at how the jersey off of Bunning’s left arm is now touching the border in the reprint. But the fonts aren’t the biggest sin in the reprint: that easily has to be the lack of a framing black line on the border itself. Wasn’t anybody in quality control comparing the final version alongside the original? 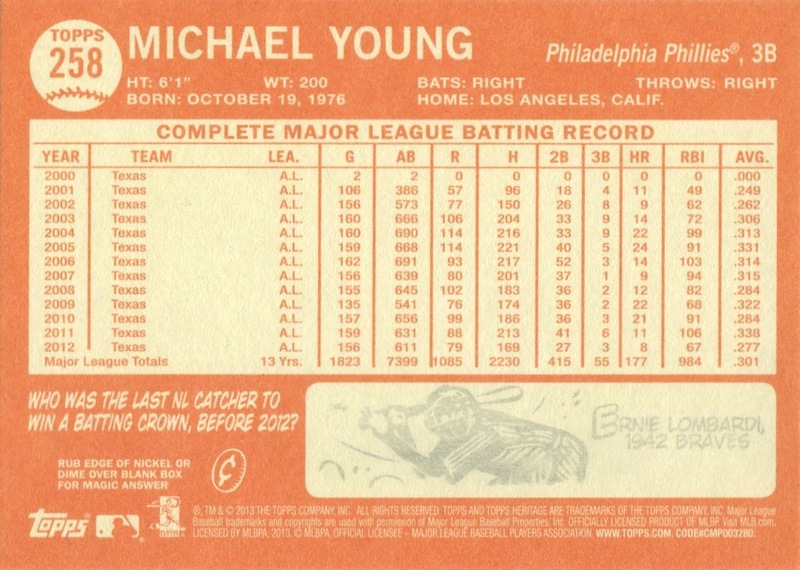 Maybe they were too busy making sure that the modern Topps logo (which didn’t debut until 1982 and looks completely out of place on this card) was placed on the reprint, even though no one else was legally making Major League cards last year. 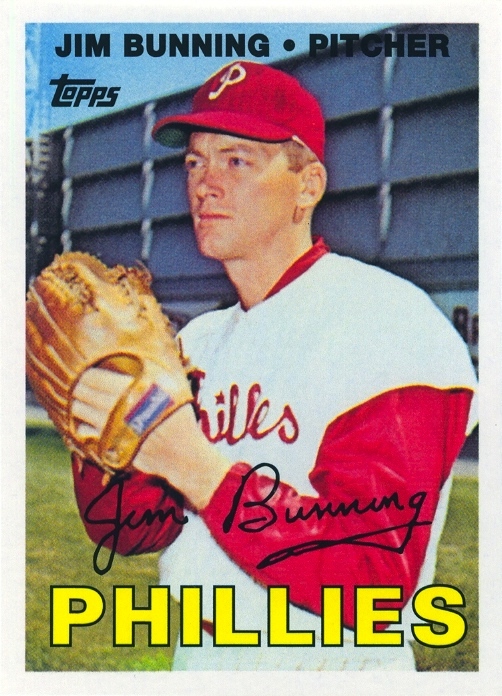 To be fair, maintaining continuity has never been a major concern for Topps, and their 2010 reprint of Bunning’s original 1967 card wasn’t the first time they screwed up a 1967-style Bunning card. 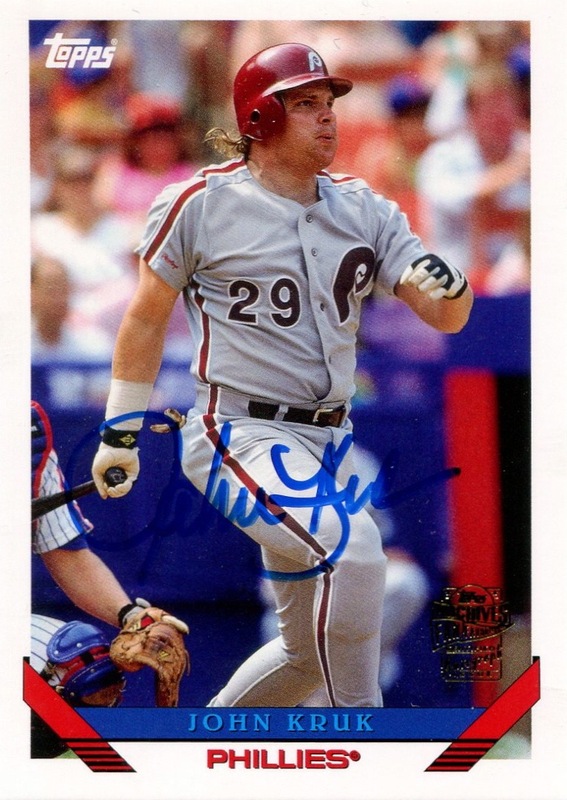 Here we see his 2003 Topps All-Time Fan Favorites card. 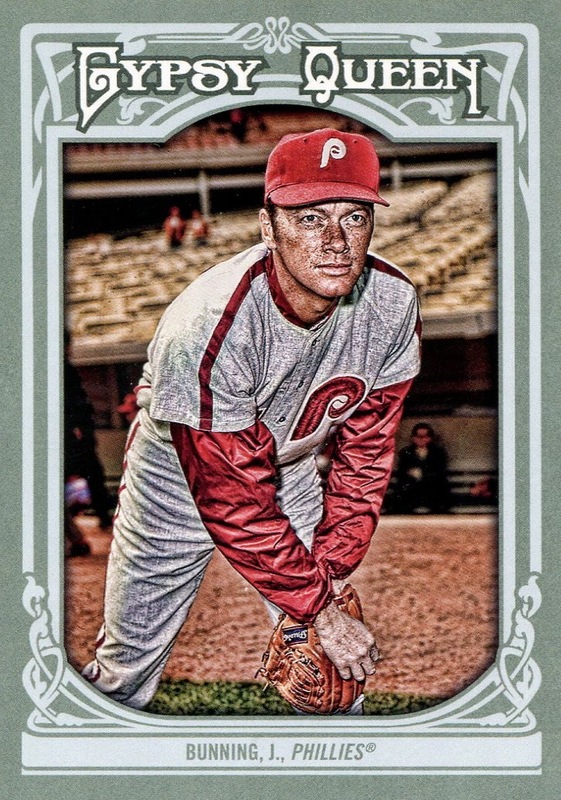 Unlike the Archives series, which was reprints of older cards, Topps created new cards using previously unused photos from the Topps archives placed inside card designs used over the past 50 years. 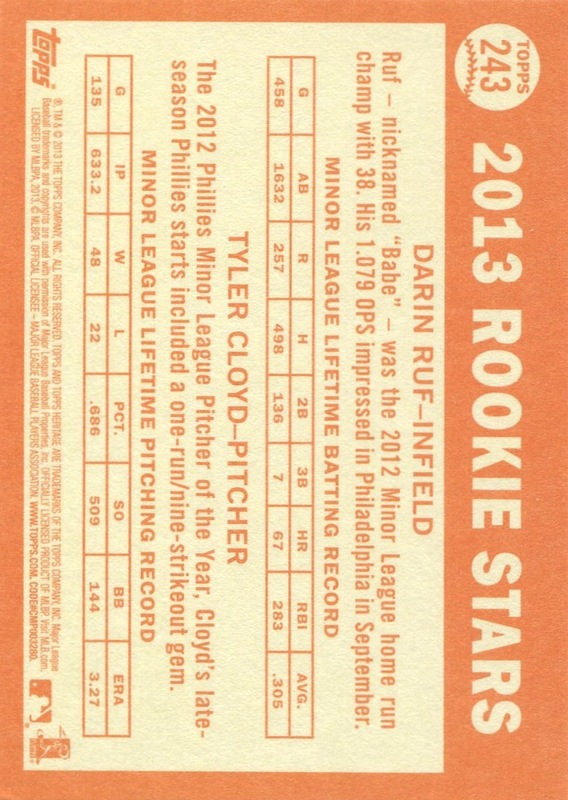 Given that these cards were being created from scratch, I’ll forgive the inconsistency in the fonts. Unfortunately, this particular card contains a glaring error in the marriage of card design and picture. 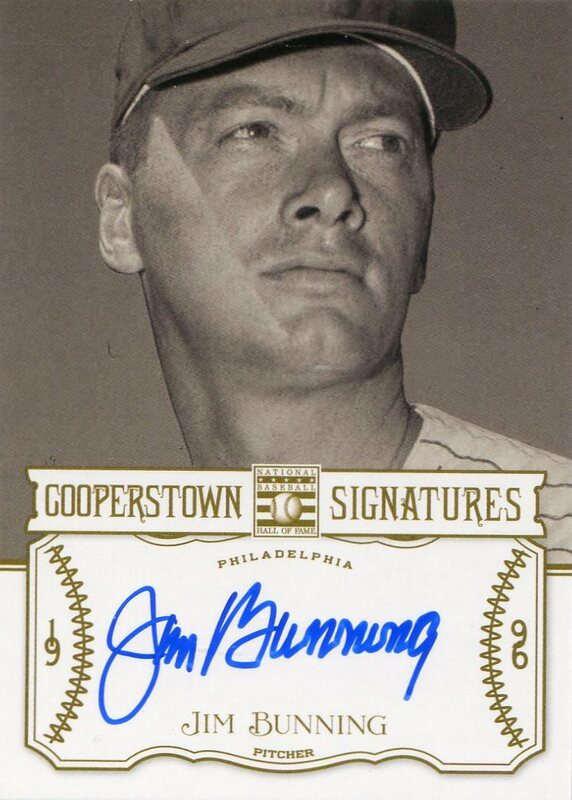 It’s a great shot of Bunning — one Topps had never used before. 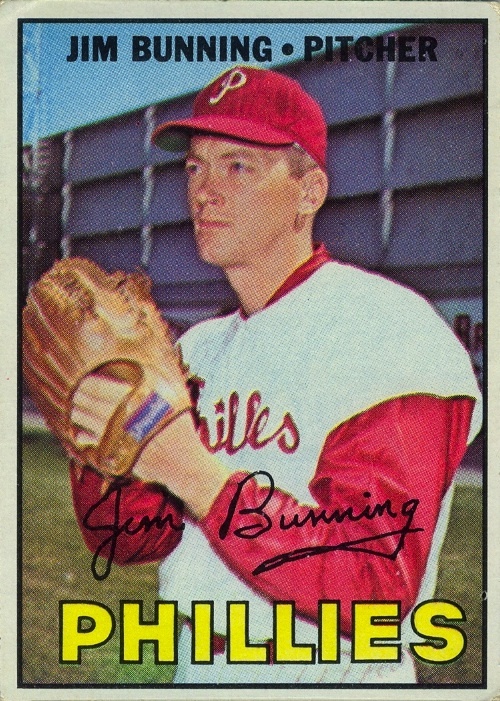 However, Topps made the decision to use the photo in its 1967 design — which predated Bunning’s uniform by three years. The overall effect is just wrong. 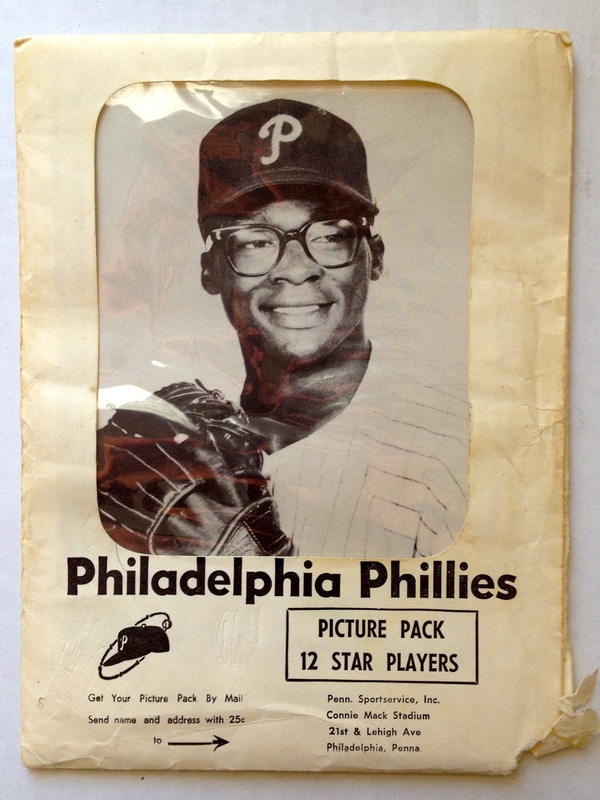 Realistically, Topps should have used its 1971 design for this particular photo, although the 1970 design would have been (borderline) acceptable given the Phillies starting using that uniform during that season. 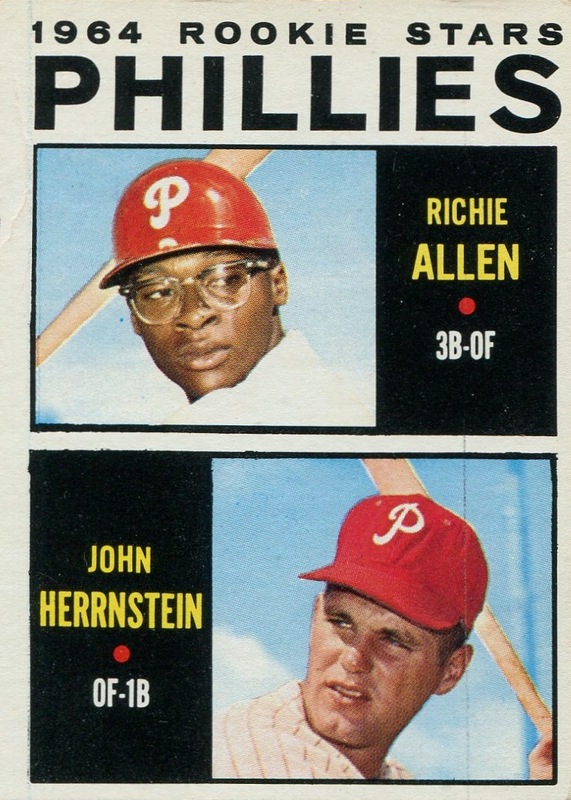 It makes one wonder whether anyone at Topps actually gives any thought to any of these issues when they start mining their past. 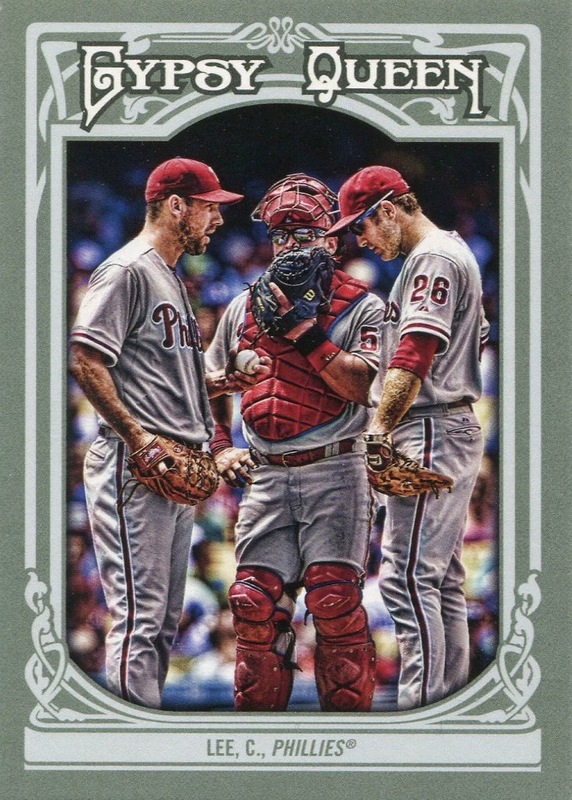 Since I only catch the errors on Phillies issues, I’m left to assume that they are repeated with the same (in)consistency across the issues of all the other teams.